Is is Better to Make a Small Down Payment? But, there are a lot of advantage to making a small down-payment as well. The pros and cons of making a small down payment are generally opposite those of making a large down payment. This means that the disadvantages of a large down payment are the advantages of a small one, and vice versa. So, while a small down payment may lead to a higher monthly payment and ultimately paying more interest, it is often the only way people who are short on funds are actually able to buy. But, it can also prove to be a more effective investment strategy. Here are some ways a smaller down-payment affects your risk exposure and your return on investment (ROI). We need to make a clear distinction here between your risk and the bank’s risk. Typically, if it’s more risky for you, than it is less risky for the bank. From the banks perspective, the down-payment is all about reducing risk. They want to make sure there is enough equity in the house so they would be able to get their money back through foreclosure if it ever came to that. If you put more down it decreases the LTV(loan-to-value) ratio, which increases the banks chances of recouping their entire investment if they have to foreclose. However, as a borrower, your risk exposure is actually opposite the banks’. If you lose your job and can’t make mortgage payments anymore and end up getting foreclosed on, you stand to lose your entire down-payment. If your down-payment was 3.5% , that’s only $14,000, but if your down-payment was 20% then you stand to lose $80,000. 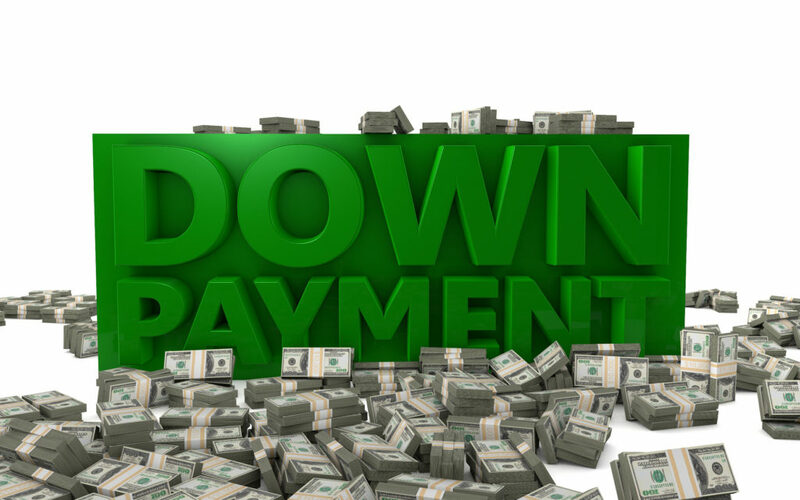 FHA currently offers the lowest down payment at 3.5 %. It is a little counter-intuitive because most people tend to think that a larger down-payment is a more conservative option, but it’s actually the other way around… When you make a smaller down-payment you are actually putting less money at risk yourself, and passing that risk along to the bank. This is why a bank will offer a lower interest rate for a loan with a lower LTV ratio. So, in a sense, you are protecting your downside in exchange for a an increase in your monthly payment when you make a smaller down-payment. For most people, their home is the largest single asset they will ever own and often outweighs all of their other investments combined. It’s easy to get caught up in the thrill and other emotions when buying a house, but just remember that this is an investment and you should treat it like one. When a person or company borrows money to finance an investment it is called using “leverage.” This is exactly what you are doing when you use a mortgage to buy a house. 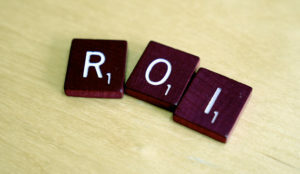 Investors and companies have found that by using leverage they can actually increase their return on investment (ROI). Let’s say Jack and Jill each bought a $400,000 house in the same neighborhood. Jack put down a whopping $80,000, and Jill only put down $14,000. Now let’s say a year later prices have gone up by 5% to $420,000, and both buyers sell their home for a $20,000 profit. While both houses have increased by 5%, Jill’s return on investment is actually going to be better than Jack’s because she used more leverage (read: borrowed more money). Jill only put up $14,000 and made a $20,000 profit. This translates into an ROI of roughly 143% (20 / 14 = 1.43). Jack, on the other hand, put down $80,000 to make the same $20,000. So his ROI was only 25% (20 / 80 = .25). Of course, this also works in the other direction. If prices decrease by $5,000, than Jill is losing more than Jack in terms of ROI. However, this goes back to the previous topic on risk. If prices really take a turn for the worst and fall all the way down to $320,000, Jill has reduced her risk so that the most she could possibly lose is what she has put in: her $14,000 down-payment. The other $66,000 loss belongs to the bank. Jack on the other hand would lose his entire $80,000 down-payment in this scenario, and the bank would lose nothing. That’s Great OC Real Estate Guy… But What Should We Do? It depends on your plans and priorities. If you plan on owning your home long term and eventually paying it off, then the ROI and risk aspects are probably less important. If this is you, then you might see more benefit by making a larger down-payment, reducing your monthly payments, and paying less interest over the life of your loan. But, if you don’t plan on owning long-term, or you are worried about changes of circumstance in the future, then a smaller down-payment is probably right for you. This way you can reduce the amount of money you have at risk in exchange for an increase in the monthly payment. Get great real estate articles emailed to you regularly. Posted in buying, financing, Real Estate and tagged 20 percent down, advantages of a small down payment, disadvantages of a large down payment, down payment, how much should i put down, how to get the most from my investment, how to invest in real estate, interest, is my home an investment, larger down payment, paying less interest, return on investment, small down payment vs large down payment, smaller down payment, smallest down payment.